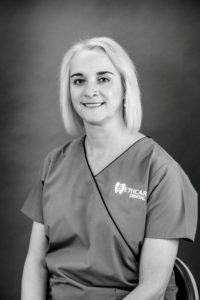 Natalie started working at Bethcar Dental Practice in July 2017. She has been a dental nurse since 2002. Natalie does a wide range of duties including all elements of d ental nursing as well as working on reception and assisting in the decontamination room. Natalie and her family have been patients of ours for many years and it is great to have her as part of the team. Natalie loves her job as she enjoys meeting people and making them feel at ease in the dental environment.